Elegant & Cozy. 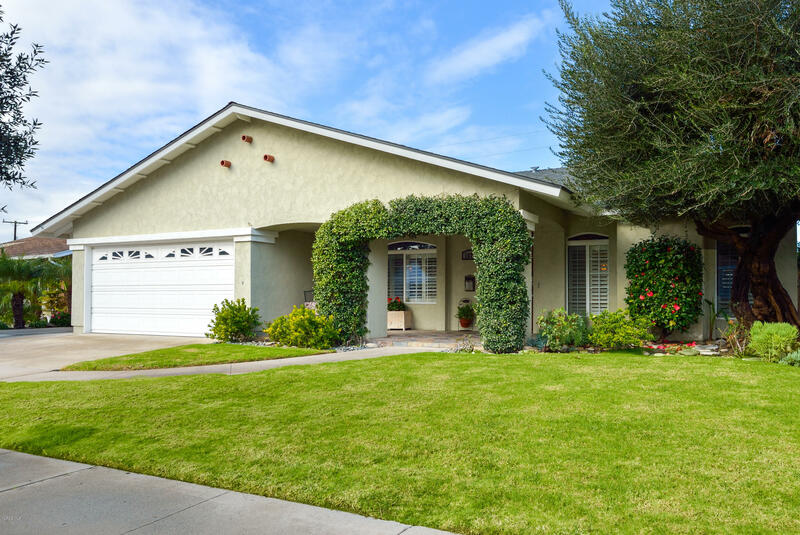 This is the single level Camarillo home you have been waiting for. The moment you enter the through the custom front door you will feel at home. This 4 bedroom, 2 bath with over 1, 900 sq. ft. Stained glass, fireplace, hardwood floors. The kitchen has newer GE appliances, deep sink and lovely fixtures. It opens to the dining area which has a beautiful built in unit and a view of the pool. Spacious master bedroom with nicely upgraded master bath and extra large walk in closet.2 of the bedroom have a partial wall removed to make it one larger room. (Could be easily closed back up). The hall bathroom has custom vanities with lots of storage. Built in BBQ and nice pool with space to entertain. A 6 x 10 Tuff Shed in the side yard to store your tools or toys. Spacious 2 car garage. Close to parks, school & shopping. Ideal location.